The team at Mercy Health, formerly Catholic Health Partners, is a mission-driven, non-profit health care system that owns and operates points of care throughout Ohio and Kentucky. The system was interested in developing a freestanding, hospital-quality emergency department in Perrysburg, Ohio, to meet the growing needs of this NW Ohio population. This would be the first freestanding ED of its kind in the region. The new facility would need to be equipped to handle the highest level of care brought in by EMS providers. Acting as owner representative, Hplex managed full development of the selected Greenfield site in Perrysburg, Ohio. Backed by Mercy Health’s board-certified emergency physicians, nurses, services and technology, the new emergency department and diagnostic center serves patients of all ages with comprehensive emergency care and diagnostic services, around the clock, seven days a week. The ED was designed to treat patients suffering from a wide range of health issues from strokes and heart attacks, to respiratory distress, head injuries, abdominal pain, sports and orthopedic injuries and more. Upon admission, patients are stabilized, then transported as appropriate. The facility has immediate access for ambulances and a helipad will be available if needed for rapid transport. Having successfully completed several similar freestanding emergency department projects, Hplex was able to contribute substantial efficiencies and value into the development of this 17,600 square-foot facility. 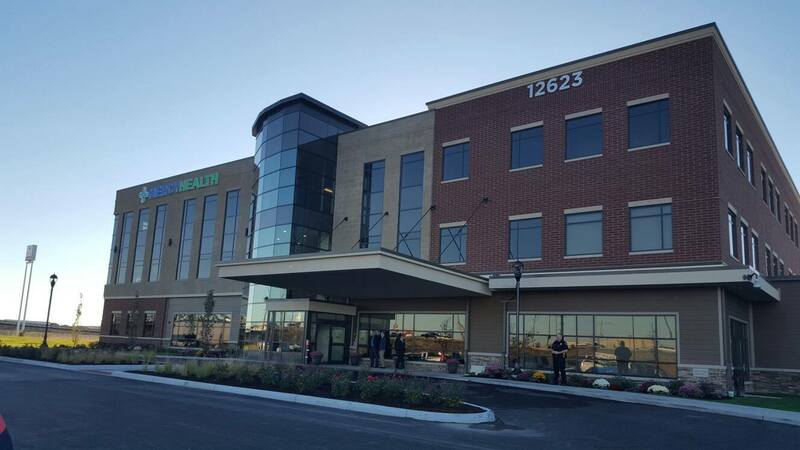 The Perrysburg Emergency Department was completed ahead of schedule and with a $X total savings to Mercy Health.